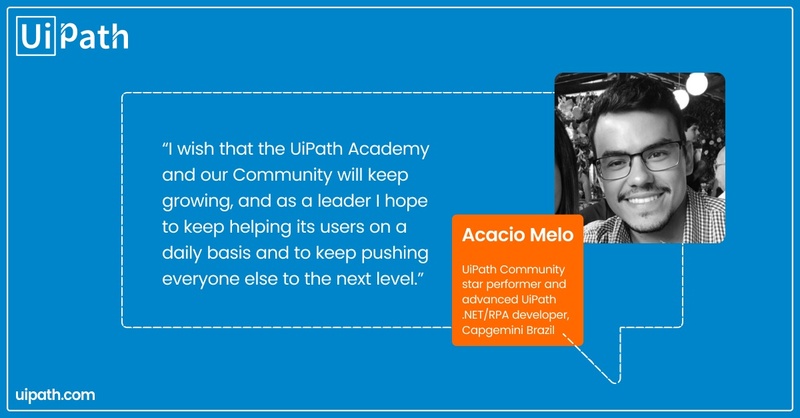 Just a month ago, UiPath Academy turned one. It feels good! In fact, it feels great to be the first to make RPA access, education and training free to the world. We had a deep sense of purpose: a conviction to spur the evolution of automation from the bottom up. When everyone contributes, it grows faster. And it grows faster for the benefit of everyone. 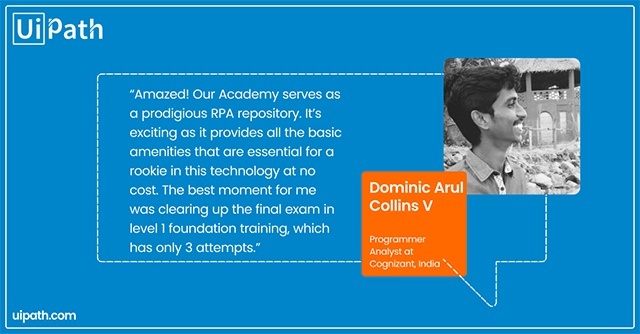 With today’s release, UiPath Academy becomes the first and only program to deliver training for all the leading roles needed to build an RPA team. We’re launching five new trainings that will be available online for free, and we’re revamping two others. We’re adding French – Bonjour! –, and here's the icing on the cake, we’re moving to a brand new certification platform that will make it so much easier for our users to complete the program. We already provide full training and certification for the RPA Developer role. These new additions are a great leap forward and nicely round up the core RPA team. Although to be fair, the UiPath Academy formula cannot be complete without an RPA Technical Support training. We’re launching it a bit later this year. Based on our users’ feedback, we also upgraded two of our current trainings: RPA Developer Foundation and Orchestrator. We synced them to our latest product version and updated all the exercises and quizzes. We hope you’ll enjoy the experience of better course content and overall consistency. We relocated to the ACME platform for a leaner certification process and better user experience. It includes new quizzes and an easy way for ‘robotistas’ to manage their profiles. They will be able to schedule exams and keep a good view of overall progress, all in the same place. It’s now also possible to enroll in the RPA Developer Advanced Certification Program without having first to complete the online training. People are learning fast, RPA is growing up! Localization is key. We’ve been successfully delivering the UiPath Academy in Japanese, and now we’re moving forward with the French version: French user interface, with French RPA Developer and Orchestrator trainings and diplomas. We want to take UiPath everywhere eventually, so we’re also planning to cover Spanish, Portuguese, Russian, Korean and Mandarin as soon as possible. 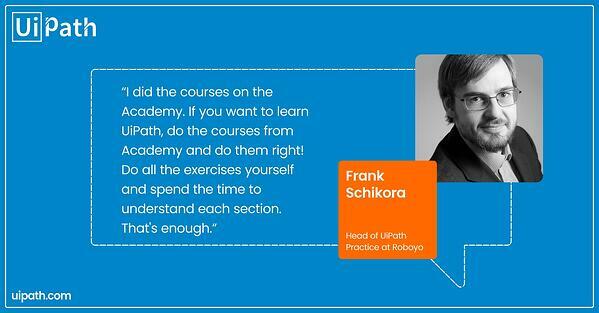 UiPath Academy has already trained more than 67.000 people, and there are more than 90.000 more currently enrolled. Developers from 163 countries all around the world are progressing fast towards becoming RPA experts. Some succeeded without any previous technical background. What set us in motion at the beginning is what keeps us going while we look ahead: the power of free-to-try and free-to-learn. Automation will be for everybody. It’s the logical way forward, and it’s an integral part of becoming digital. We’re in this together, so have fun and let’s make it count.